Does it seem like your iPhone battery dies way too quickly? Are you sick of having to charge it multiple times each day? 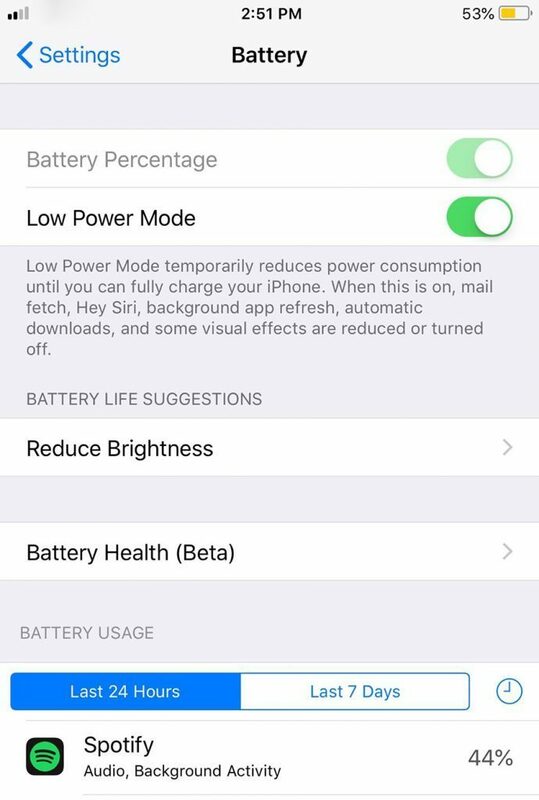 When your iPhone notices that you’re using more battery than usual, you’ll see battery saving suggestions based on your habits. Tap Settings > Battery > Battery Life Suggestions. 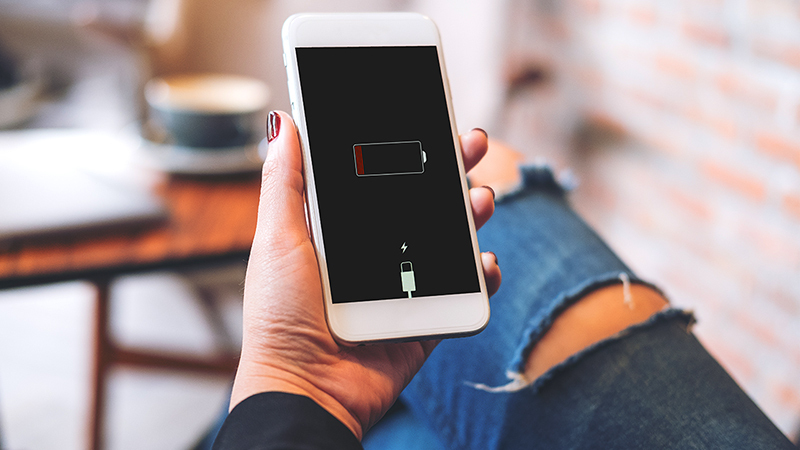 Push services can help you stay connected, but they also drain your battery. Do a quick audit and see which push services you can live without to save your iPhone’s battery life. Tap Settings > Notifications. Tap any app from the list to adjust push notification settings. Your screen is a major battery drain. Reducing your brightness even slightly can pay off with big battery savings. 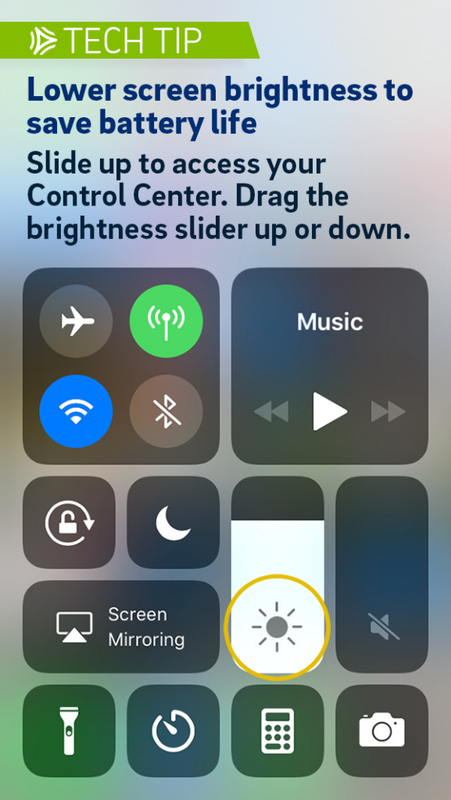 Place your thumb on the Home button and slide up to access your Control Center. Drag the brightness slider up or down. Location monitoring apps can zap away at your battery life. Do a quick check of apps using your location and disable the ones you don’t need. Tap Settings > Privacy > Location Services. Never = Access to your location is never available for this app. While Using the App = Access to your location is available only when this app or one of its features is visible on screen. Always = Access to your location will be available even when this app is in the background. You may not realize your iPhone is burning through data when apps and services you don’t need continuously run and update in the background. Most smartphones provide options to monitor or turn this function off, which will surely maximize battery life. Tap Settings > General > Turn off Background App Refresh. This easy solution will help extend battery life until you can charge your phone. But keep in mind that some functions like mail fetch may be reduced or turned off. Tap Settings > Battery > Turn on Low Power Mode. For more tips like these, enroll in your phone carrier’s protection and support program.